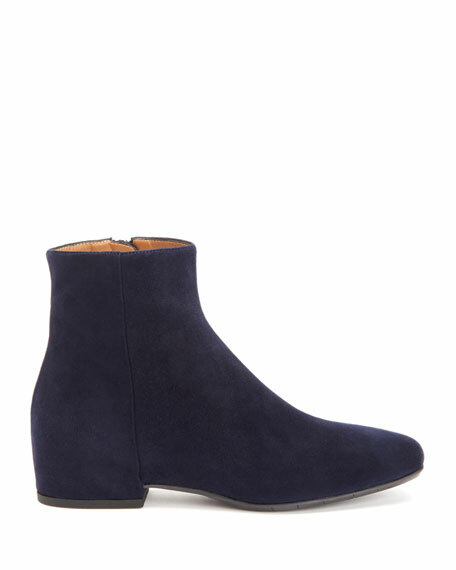 Aquatalia waterproof suede ankle boot. Shaft, approx. 4.9"H with 10.4" opening. "Ulyssa" is made in Italy. 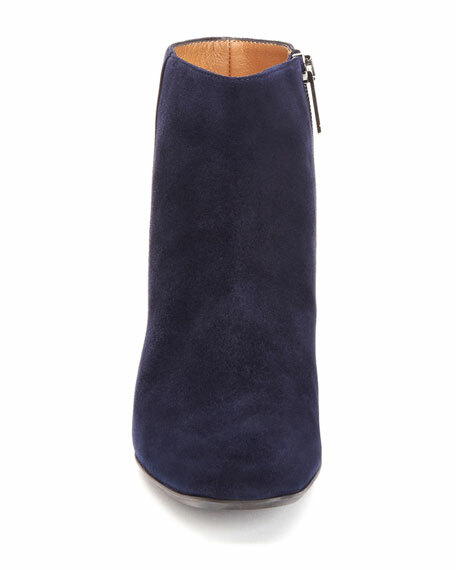 Christian Louboutin crinkled calf leather bootie. 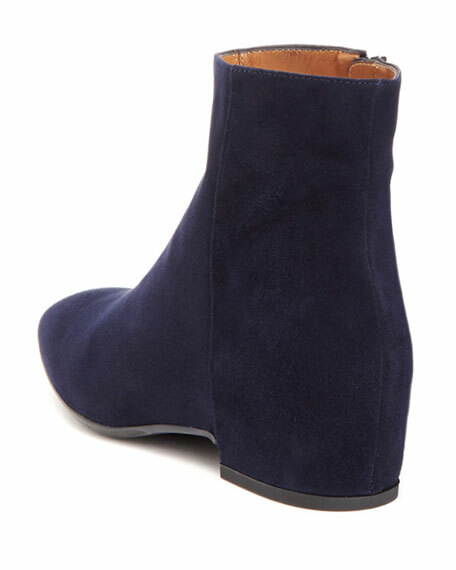 3.3" stacked block heel. Round toe. Side zip extends at platform. Logo pull. Padded footbed. Signature red leather outsole. "Telezip" is made in Italy. Golden Goose smooth cow leather western boots. 1.5" distressed block heel. Round toe with medallion stitching. Pleated sides. Pull-on style. Golden Goose smooth cow leather western boots. 1.5" distressed block heel. Round toe with medallion stitching. Pleated sides. Pull-on style. Pull-tab at back collar. Leather lining and sole. "Crosby" is made in Italy.